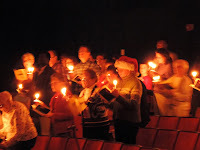 KANSAS CITY, KAN. ----- Kansas City Kansas Community College celebrated the start of the holiday season Wednesday during the school’s oldest tradition, the Candlelighting Ceremony. 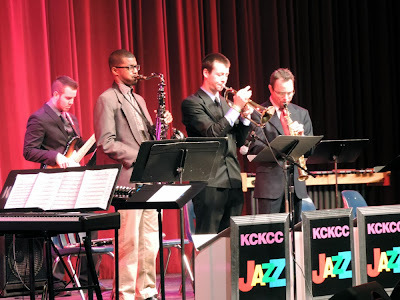 This is the 91st year for the ceremony, which featured performances by the KCKCC Jazz Combo, the Latin Concert Band, students from the KCKCC theater department and the Vocal Jazz Ensemble. In addition, at the 11 a.m. service, Annie Premis, a KCKCC alum, spoke about her college experience as well as offered words of encouragement for current students. 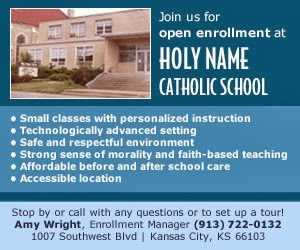 KCKCC faculty members started the Candlelighting Ceremony in 1923, the year KCKCC was founded. It remains the oldest tradition at KCKCC and serves as an opportunity for students, staff and faculty to celebrate the upcoming holiday season. During that first year, a collection was taken to fund student scholarships. This tradition has continued and over the years, more than $10,000 has been collected for student scholarships at KCKCC. Donations are free will, and members of the Student Senate will be at the doors to the performing arts center with red baskets to accept donations.